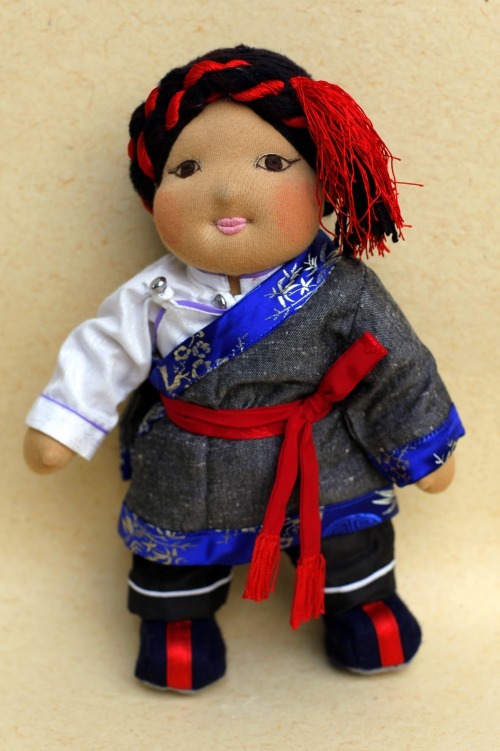 Norbu is from the Kham region of Eastern Tibet. His long plait interwoven with red silken thread is wrapped around his head in typical Khampa style. He wears a traditional shirt, trousers, felt boots and smart chupa coat, which is tied with a red silken belt in the customary way.